SOS Recovery Community Organization (SOS RCO) has been selected as the 2019 recipient of the Harvard Pilgrim Healthy Community Impact Award. The Harvard Pilgrim Healthy Community Impact Award recognizes a nonprofit working to increase access to care and improve the wellbeing of individuals and communities to build a stronger, more vibrant state. The award will be presented at the New Hampshire Center for Non-Profit’s Nonprofit Impact Night event on Thursday April 4th at the Manchester Country Club in Bedford. The mission of SOS RCO is to reduce the stigma and harm associated with substance misuse by providing a safe space and peer-based supports for people in all stages of recovery. SOS envisions a world where recovery from alcohol and other drugs is possible, and widely embraced, thorough low barrier access to inclusive and respectful support, and where all who seek long-term recovery have access to the care and resources they need to achieve their self-defined goals. 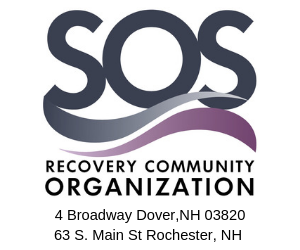 For more information about SOS RCO call 603-841-2350 or go to www.SOSRCO.org.